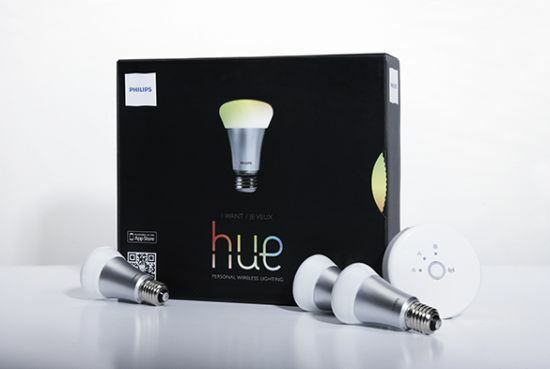 Offering an energy-efficient alternative to regular light bulbs, Philips has come up with Hue LED bulbs to add a distinct, green hue to your home lighting. The novel, customizable LEDs can be connected to any existing lighting systems through a smartphone-controlled hardware, further offering an amazing 16 million color options. Available exclusively at Apple Stores, the $199 starter kit comes with three bulbs and a bridge – supports up to 50 bulbs – that connects to the router. Users can customize the Hue system to suit their likings by controlling it through an iOS app or Philip’s website on their computer itself. So, users have the options of either set each LED’s color individually or utilize the preset color schemes. Thus, they can create their own scheme and schedules including their preferred settings. With its aim to make it usable to Android users, Philips will launch an Android app this December. The energy-efficient LEDs draw a maximum power if 8.5W, aside from ensuring brightness comparable to a 50W bulb.